Henry Greene, OD, FAAO, a graduate of the Pennsylvania College of Optometry, is a leader in clinical low vision care and in the development of telescopic low vision aids for the visually impaired. From 1974 through 1977, he studied low vision rehabilitation at the Industrial Home for the Blind in Brooklyn, NY, with Dr. George Hellinger, an early pioneer in the field of low vision. While in New York, Dr. Greene published papers regarding the vision issues associated with hearing loss while a consultant at the St. Francis de Sales School for the Deaf. From 1977 through 1980 he directed the Low Vision Clinic at the Blind Association of Western New York, in Buffalo, NY. After moving to North Carolina in 1980, he joined the faculty of the Department of Ophthalmology at the University of North Carolina in Chapel Hill to establish their low vision program, where he ultimately rose to the rank of Professor. In 1985 Dr. Greene co-founded Ocutech, Inc. the developer and manufacturer of telescopic low vision aids. He was the principal investigator on three NEI sponsored SBIR projects, totaling over $1.6 million dollars in funding support and resulting in the development of the Ocutech VES Keplerian bioptic telescope and the Ocutech Autofocus bioptic telescope. Both of these products, now in updated versions, have been prescribed by low vision practitioners to tens of thousands of visually impaired individuals throughout the world. As part of NEI-sponsored clinical trials, Dr. Greene developed the first clinical protocol for determining a prognosis for prescribing bioptic telescopes and originated the concepts of the “Visual Radius” and the “Social Range” as a way to understand the impact of visual impairment on socialization and emotional wellbeing. Dr. Greene has received five patents for his innovative work in developing low vision telescopic aids. In 2008, Dr. Greene received the William Feinbloom Award from the American Academy of Optometry for his work in Low Vision Rehabilitation. He continues to teach clinical low vision care and conducts workshops on bioptic prescribing at professional meetings, optometry schools and academic centers throughout the US and in Europe, the UK, the Middle East and India. In 2013 he was appointed to the Medical Review Board of the North Carolina Department of Motor Vehicles, the first optometrist to receive such an appointment, where he was instrumental in revising the state’s vision assessment guidelines and where he played a pivotal roll in the state’s Bioptic Driving program. Dr. Greene will be the keynote speaker at the Vision Tech Symposium in Kolkata, India in August 2018 and at the World Congress of Optometry meeting in Marrakesh, Morocco a month later. 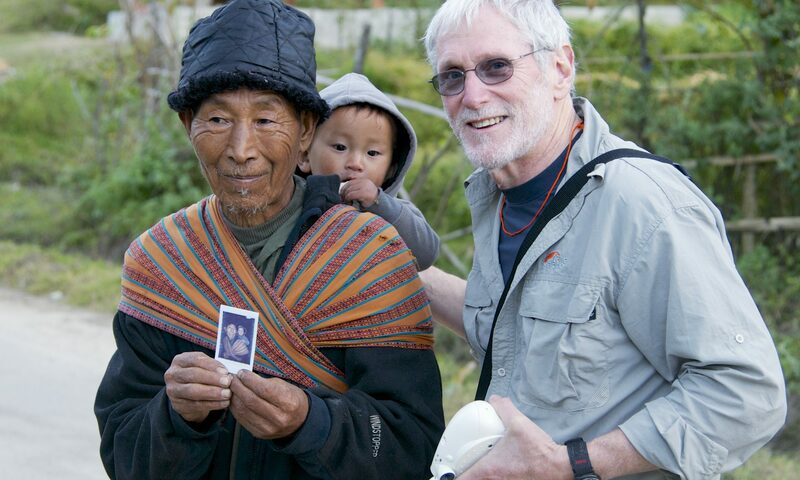 Dr. Greene is also an avid photographer and traveler having visited over 50 countries. Visit his website at https://henrygreene.smugmug.com/Exhibits/ to see his current photography exhibit now on display in Durham, North Carolina.